Kirk plays a venal reporter, so desperate for a comeback scoop that he turns a fairly simple rescue attempt of a man trapped in a cave-in into a national circus. The ballsy actor gets to revel in egomania, sarcasm, manipulative greed and calculated cruelty. Timidity takes a back seat. 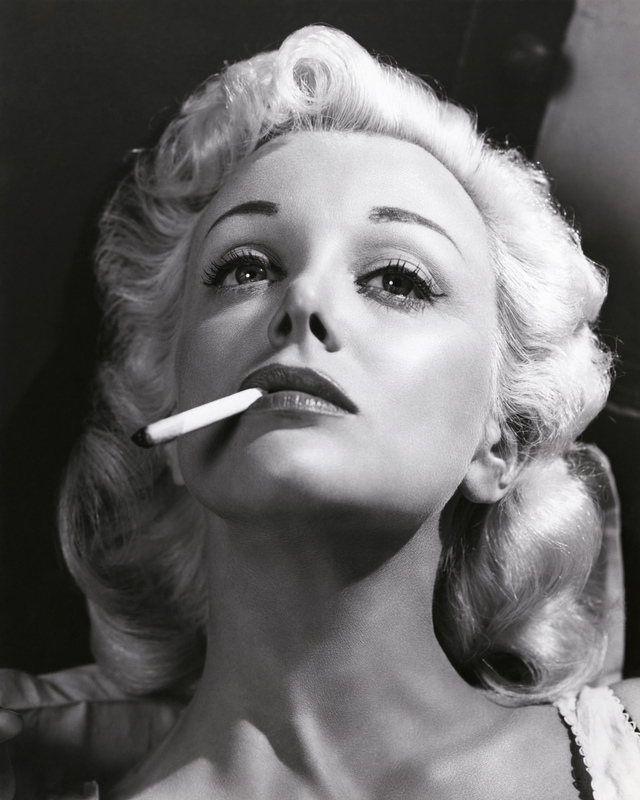 More fine acting comes from Jan Sterling as the two-timing wife of the man Kirk’s using as pawn for his story—the guy is entombed at an Indian ruin in New Mexico. Though she was later Oscar nominated (for supporting work in The High And The Mighty ) this might be the neglected Sterling’s best role. Her shocked, emotional reaction after Douglas slaps her is genuine: the legendarily uncongenial star quite obviously didn’t pull his whacks. 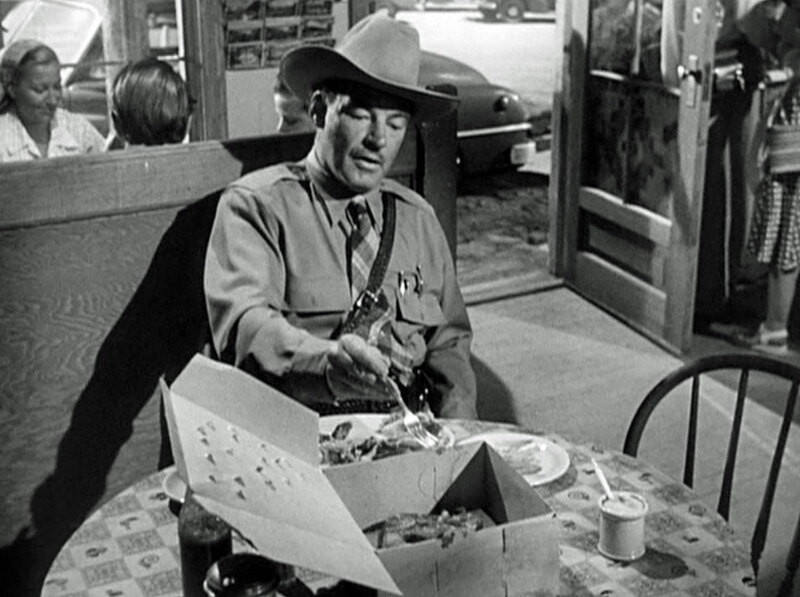 The always solid Ray Teal gets in nasty licks doing his crooked-sheriff bit for all it’s worth, feeding scraps to a rattler, one snake to another. Public service, sure–what’s in it for me? While the premise that a single reporter could tie up a story solo seems a mite preposterous, the script momentum and Wilder’s superior staging are sharp enough that it all seems logical while you’re watching. Starkly photographed near Gallup by Charles Lang, given a taut score from Hugo Friedhofer, the drama is arresting, grueling and unrelenting, but it’s also something you have to be in the right sour mood for (picture the Kardashians, that’ll help). Audiences were not ready for the brine as Wilder and his movie gave the finger to the sensation-hungry public as well as the unscrupulous press and corrupt officialdom, with only the hapless victim and his frightened parents (John Berkes touches as the father) getting anything like sympathy. 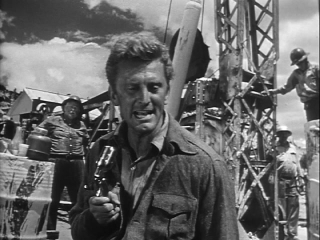 The bitter spray ticked off journalists, upset the studio and failed at the registers, even after the title had been changed from Ace In The Hole. It came in 94th for the year, grossing $2,860,000, gasping on a cost of $1,821,000. Critics of the day dissed it, now it’s highly regarded, a precursor to the acid baths of A Face In The Crowd and Sweet Smell Of Success. It did get an Oscar nomination for Story. 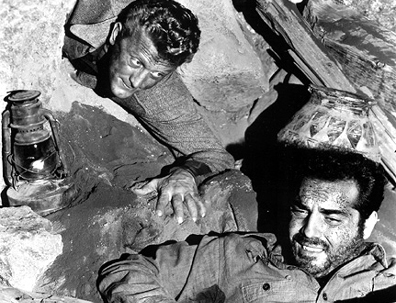 112 minutes long, the 1951 dosage in mean co-stars Bob Arthur, Porter Hall, Richard Benedict, Frank Jacquet, Frank Cady and Gene Evans (a busy breakout year for the fine character actor with roles in seven films, including three leads: The Steel Helmet, I Was An American Spy and Fixed Bayonets). Kirk & Billy: made for each other? *Art imitating life? Truth via chiseling? America’s Got Irony? Wilder had enough of a handle on cynicism that he didn’t seem to blush when he and co-scripters Lesser Samuels and Walter Newman ‘borrowed’ a synopsis that bit player Victor Desny had submitted to Wilder’s secretary two years earlier. Wilder rejected it in 1949, then, viola! : suddenly in 1951 it’s showtime! Desny sued for $150,000 breach of contract and California’s Supreme Court ruled in his favor—five years after the script got its Oscar nomination. Desny’s plot outline was based on a true story from 1925 Kentucky, with renowned spelunker Floyd Collins wedged in a cavern (now part of Mammoth Cave Natl. Park) for two weeks, dying three days before rescuers reached him. Thanks to newfangled radio, a nationwide frenzy of interest sprang up, one of the largest ‘human interest’ events between the World Wars, as tens of thousands of curiosity seekers converged on the site. Reporter ‘Skeets’ Miller won a Pulitzer Prize for his coverage of the Collins tragedy/farce (today Anderson Cooper would be there in his roughing-it-live togs). Publicity over the whole thing galvanized enough Kentuckians with pull that it helped bring about designation of the vast underground realm as a National Park in 1941. Wilder went on to a decade of hits. Desny left the movie meatgrinder in 1954, no doubt fed up with its perfidy as much as its competition, dying forgotten in 1979. Desny v. Wilder changed contract law. You can’t make this stuff up, but apparently you can steal the hell out of the idea.